The tax assessor came to Osawatomie. Finding out that the residents might not take kindly to paying taxes to a government foisted on them by violence and massive fraud, dedicated to ramming slavery through without even a reasonable sham of democracy. A public meeting there resolved that no one would pay any such tax and if the assessor came around asking for it they would resist him with force. That’s what John Brown’s eldest son, John Junior, wrote to the Herald of Freedom. He left out that the first speaker at the meeting advocated paying and a group of conservatives walked out rather than be party to what the Browns and other like-minded Kansans resolved. a volunteer company, known as “Potowatomie Rifles,” met to drill about one mile and a half from the place where Judge Cato was to hold his Court, and this Company, composed of the actual settlers in this region, feeling an interest in the proceedings of that Court, were dismissed for a short time, and went to hear the charge of the Judge to the Grand Jury. Again Junior left some details out. 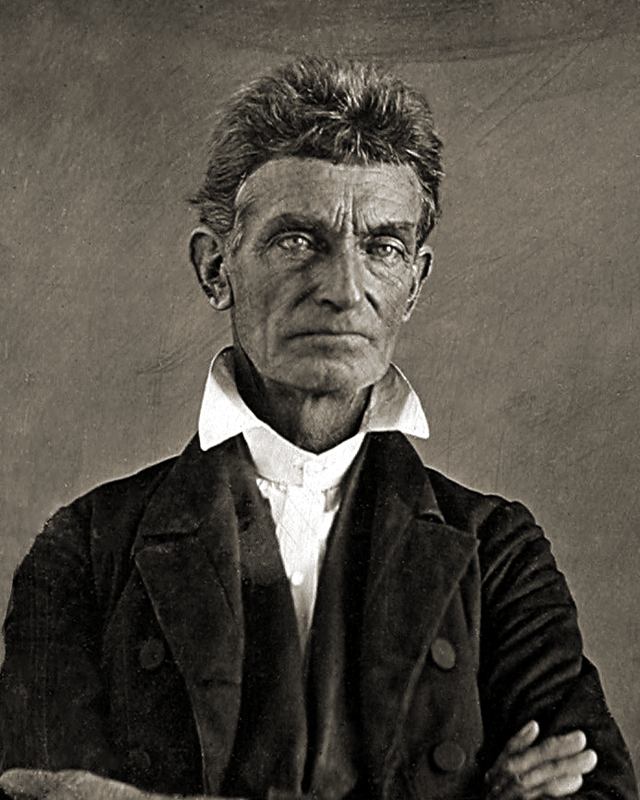 John Brown, never one to take orders and certainly not about to take them from his own son, did not join the Rifle company. Junior and Jason Brown did. They elected Junior their leader, so he likely chose their place of meeting and certainly dismissed them to go see what the court would do. Separate from that trip, Brown himself dispatched Salmon and Henry Thompson to Cato as a test. Would the proslavery judge have them arrested on sight? They walked ten miles to Dutch Henry’s tavern to find out. Salmon didn’t appreciate playing the part of bait, but went along. His father promised that if Cato dared order their seizure, the old man would be along the next day to bust him out. spoke frequently of “our laws,” at the same time laying his hand on a copy of those acts [of the territorial legislature] which was lying on the table. certain offenses or penalties not named or provided for by the laws of the United States. Everyone in the room got the drift. National law did not make antislavery opinion illegal, but territorial law did. Still, it would help to have Cato on the record. John Junior’s appearance caused a stir, but once the judge saw that he didn’t come armed, he specified that the laws of the bogus legislature absolutely applied. Junior went back outside and told the men.